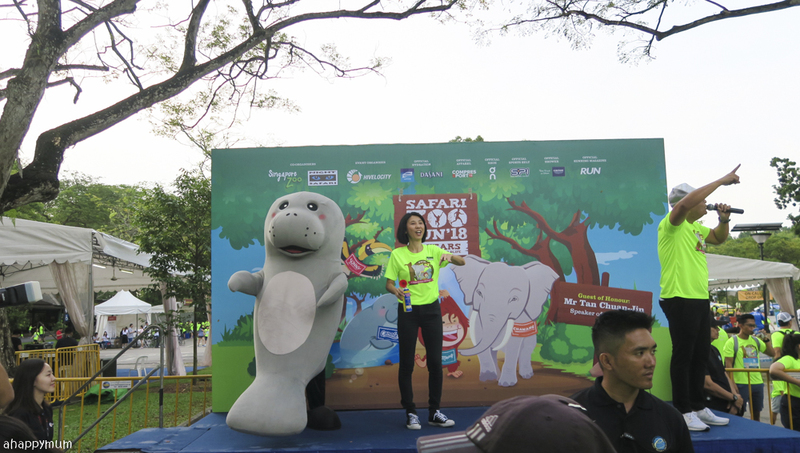 We had been looking forward to the 27th of January for a long time because it was going to be the day of Safari Zoo Run 2018, an event which we could run for a meaningful cause, get together with our animal friends and enjoy a day full of fun, laughter and family bonding. 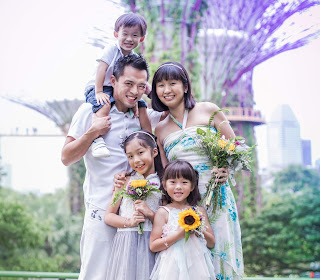 Alas, the kids had been feeling under the weather for the entire week and even though we all woke up excitedly and promptly on the day itself, the hubby discovered that the little sister was running a fever and things started to get into a frenzy. While he was adamant that she should skip the run and stay home to rest, I checked her temperature, which turned out to be 37.9°C, and I was of the opinion that she could still go but stay in the stroller for most of the journey. So we got into a little bit of a disagreement and when we told the girl that she should consider staying home to rest in case her condition deteriorated, she started to bawl badly. 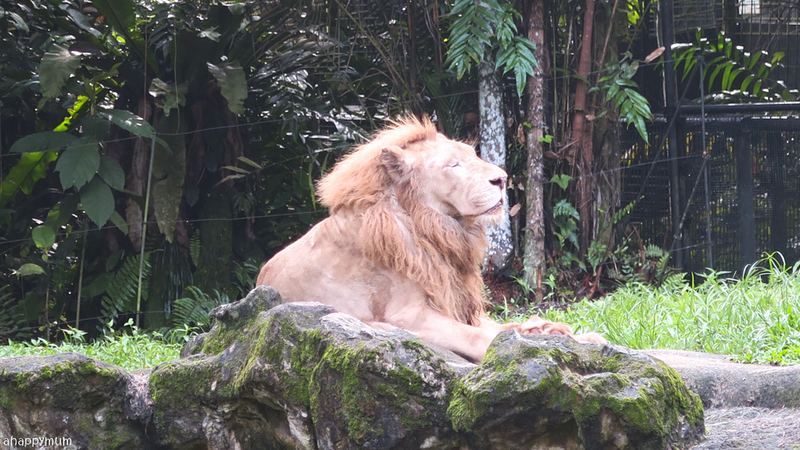 Well, that helped us to make a decision more swiftly and even though the hubby was reluctant, he still got ready and drove us all to the zoo. 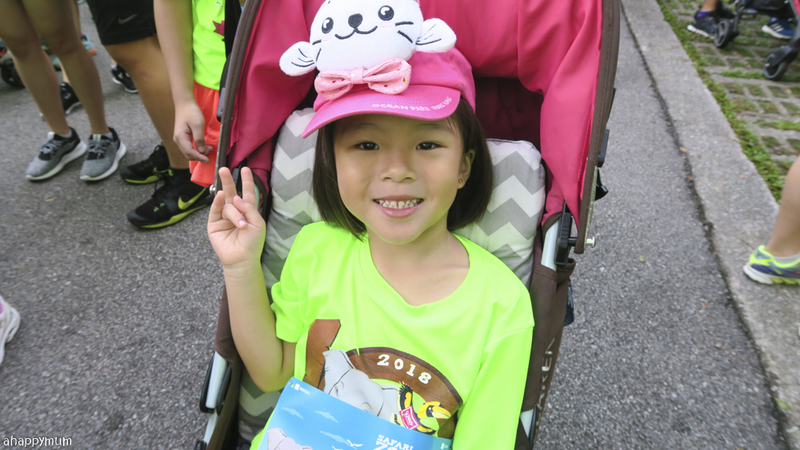 So, with a toddler who had a runny nose and bad cough, a preschooler who was feverish and also coughing, and a primary schooler who was suffering from a headache the night before, we made our way to the starting point of our 5.5km run. Yes, 5.5km! We chose to run the longer route like last year because we had enjoyed the experience so much and wanted nothing else but to do it again this time round. I kept my fingers crossed for good weather, smooth run, cooperative and happy kids, and hoped that things would only get better from there. 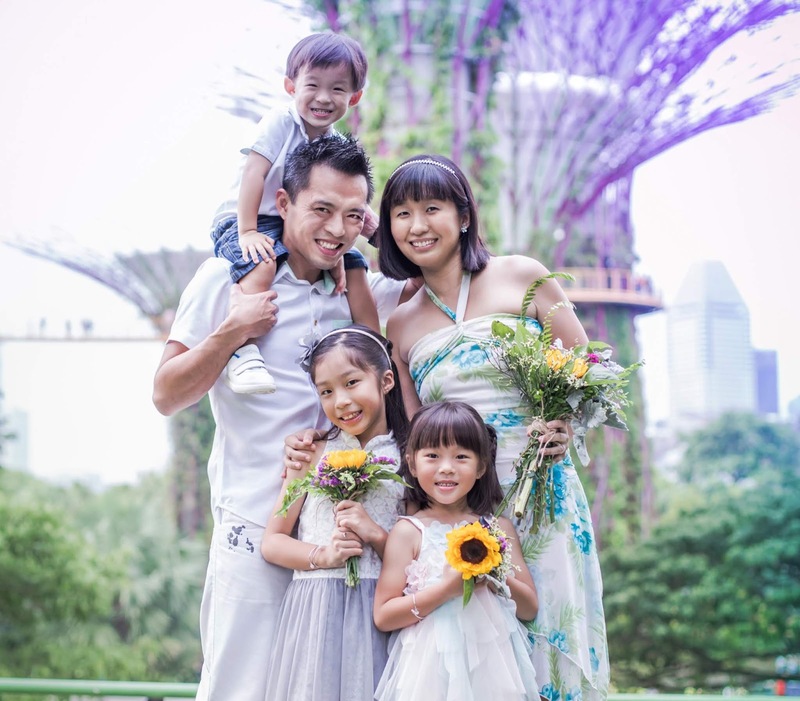 The flag off time was 8am and since I had told the hubby that we needed to arrive at 7:45am (it's a tactic I've learnt over the years), we made it in good timing and even had time to pose for some family shots after putting on mosquito repellent and sunblock lotion for the kids. 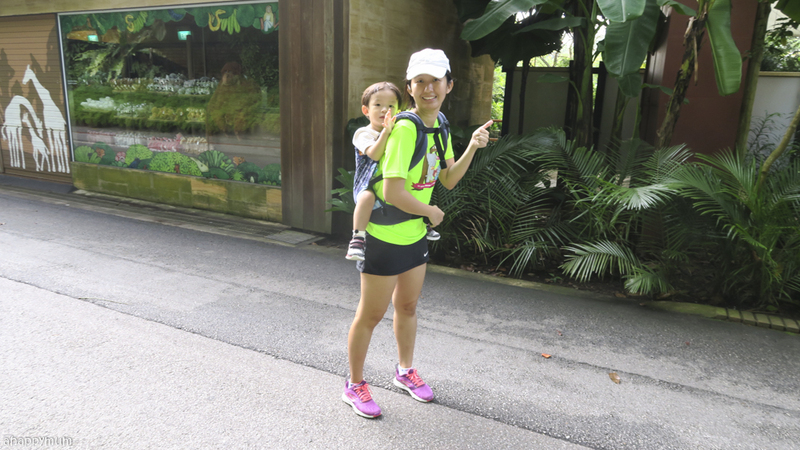 It is a good thing that Safari Zoo Run allows the use of strollers in the family runs so we could use it to carry the diaper bag, baby necessities, water bottles as well as extra clothes for the kids just in case. Since Ariel was the one feeling most sick that day, we decided that she could sit in the stroller while I carried the boy in my trusty Tula carrier for toddlers. In any case, this kid doesn't like to sit in the stroller most of the time and loves to demand for Mama to hold him. Oh well, while I still can do it, why not? See the crowd of people? It's pretty awesome knowing how many families are supportive of this family-friendly event that takes place annually. Despite being early, we were flagged off in the fourth wave and I didn't even know how many waves followed after us. 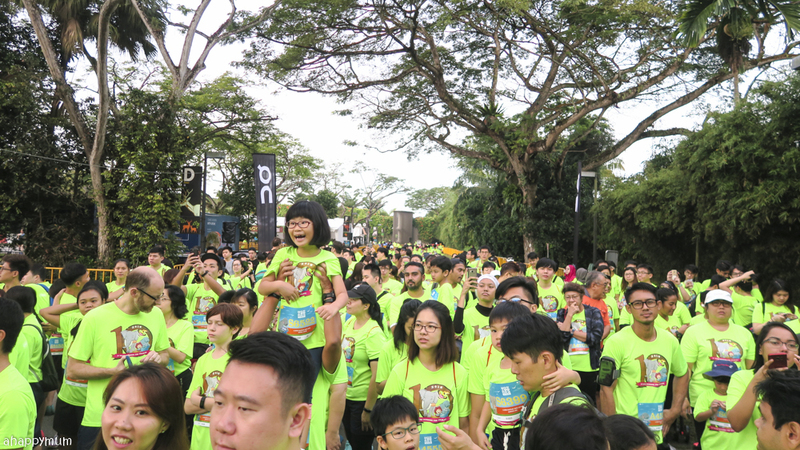 We were all feeling thankful for the breezy weather, plus the upbeat music and bubbly emcees definitely helped to build up a positive and cheerful atmosphere. Here's Canola the manatee who helped to flag us off! Yup, we love Canola but we decided to remain faithful and chose to run for #TeamChawang again this year! 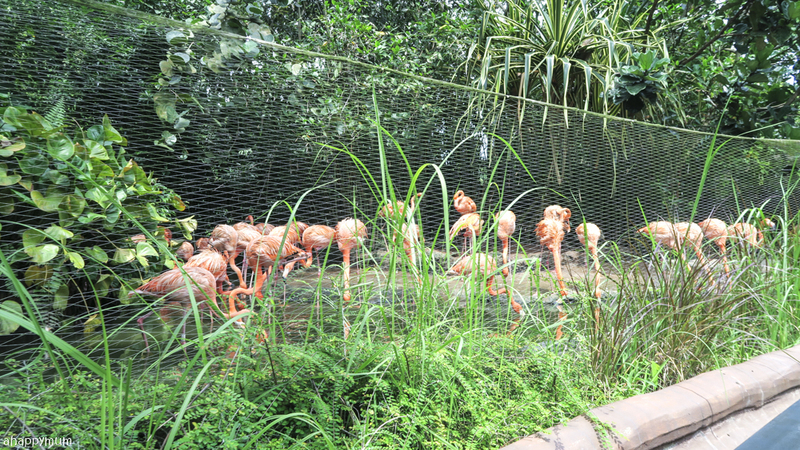 You know what's the best part about Safari Zoo Run? 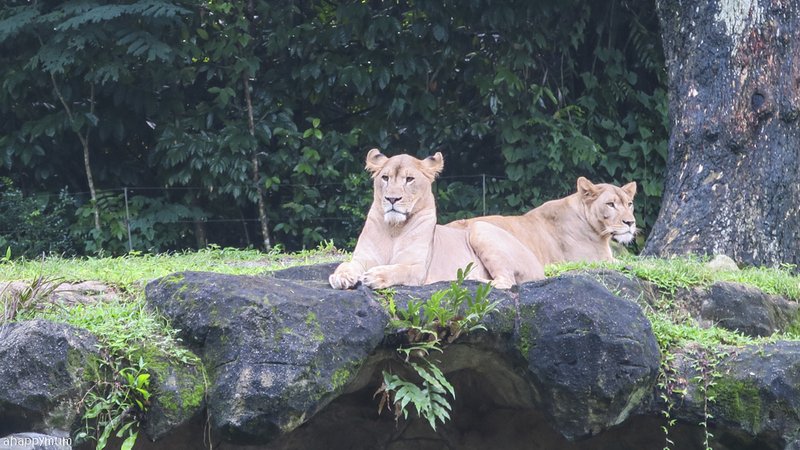 It's being able to run through the Zoo and Night Safari, come up close with all the beautiful animals, enjoy the morning breeze and cherish being able to do this with the people you love most. 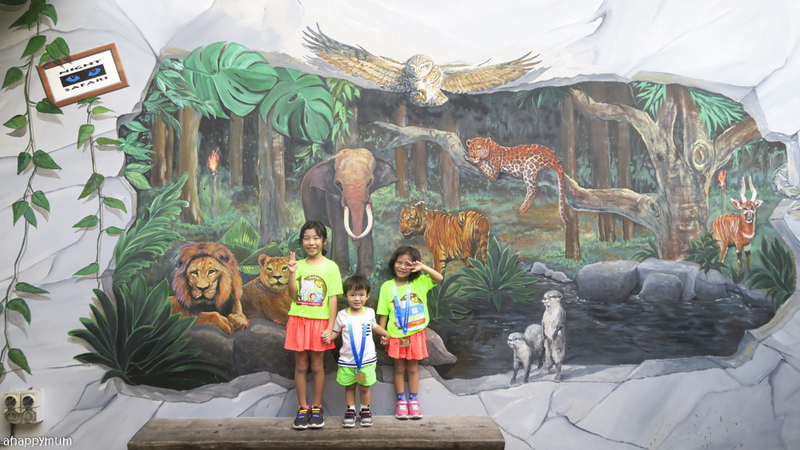 Even though we always encourage our girls to run as best as they can and never give up during races, when it comes to Safari Zoo Run, it's another game altogether. 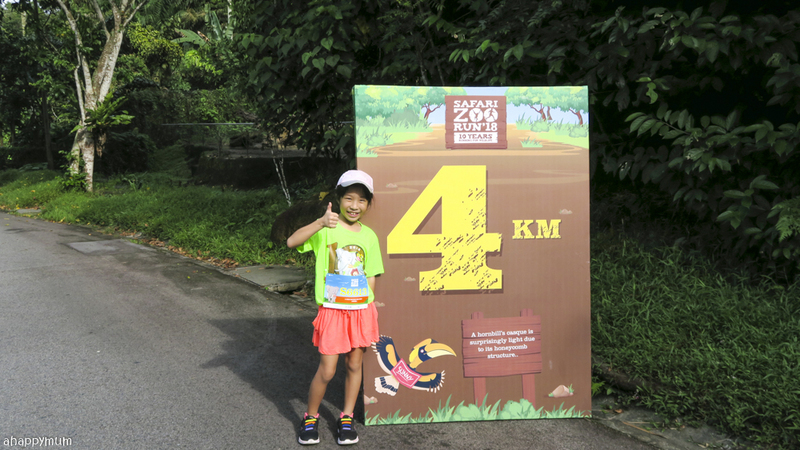 For this 5.5km, all we want is to enjoy nature, admire the animals, take a break whenever we like, do things at a leisurely pace, take deep breaths and simply appreciate life for what it has to give. 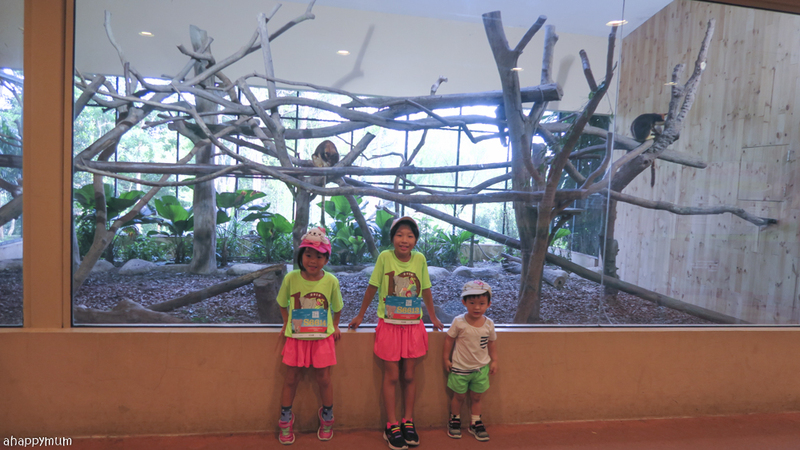 Here's sharing some photos we took during the run - which is the only family run where we can, and want to, stop in our steps so many times to take gorgeous shots of the animals and feel our breath being taken away by the beauty of everything we see. 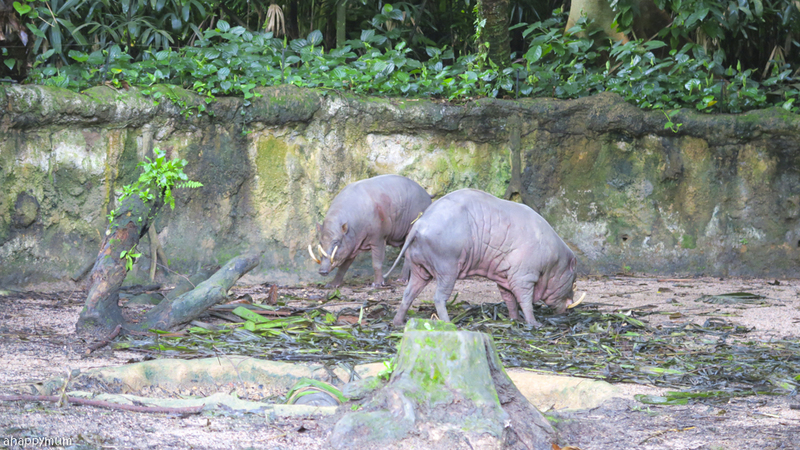 See how close we could get to the animals and how the bright daylight made the photos appear nicer? 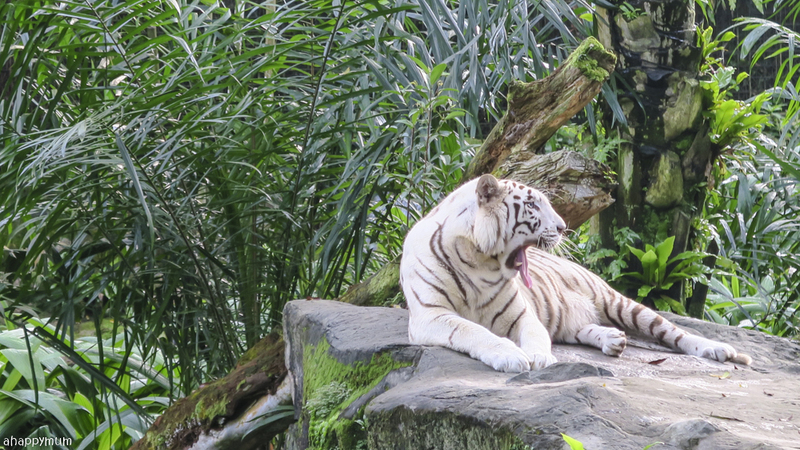 I wasn't even using a DSLR, just a point and shoot compact camera. 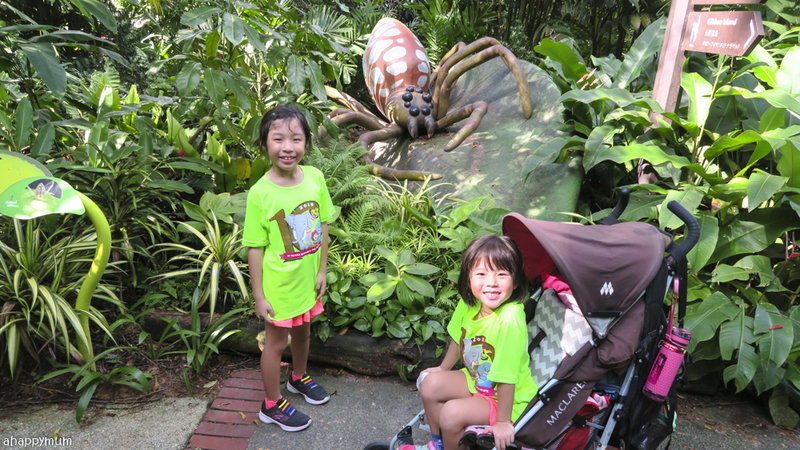 It wasn't long before the sick girl decided that she felt well enough to get off the stroller and join her elder sister in walking, running and sightseeing. 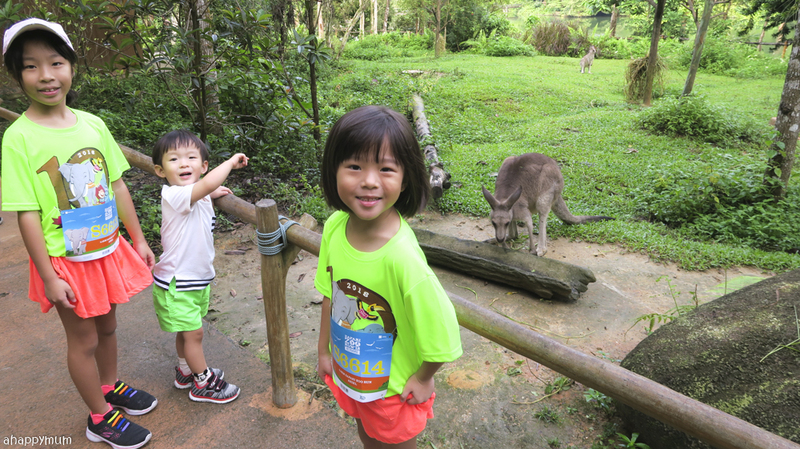 She was excited to check out every enclosure and was jumping with joy whenever she spotted one of the cute animals. Not even 1km into the run, we passed by the home of kangaroos and look, we decided to have a standing broad jump contest - which was my worst Napfa event for as long as I can remember. It was hilarious because the boy just kept running and falling over, and we realised that the big girl can jump as far as I can already. Haha. 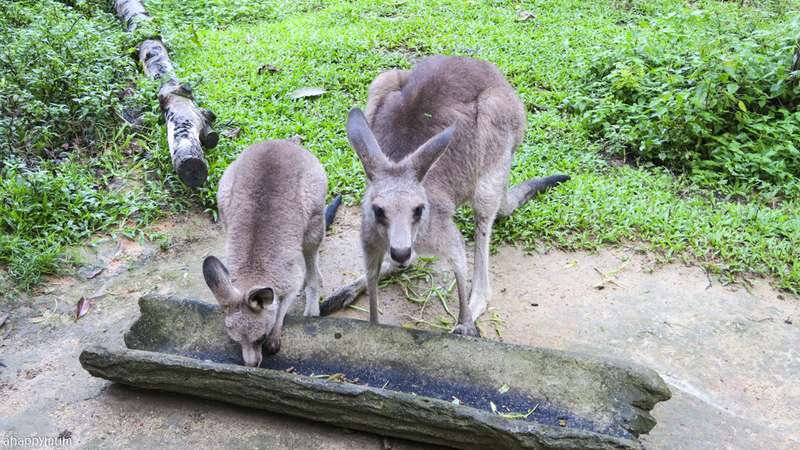 Check out these beautiful kangaroos and how awesome is it that we got so up close with them! 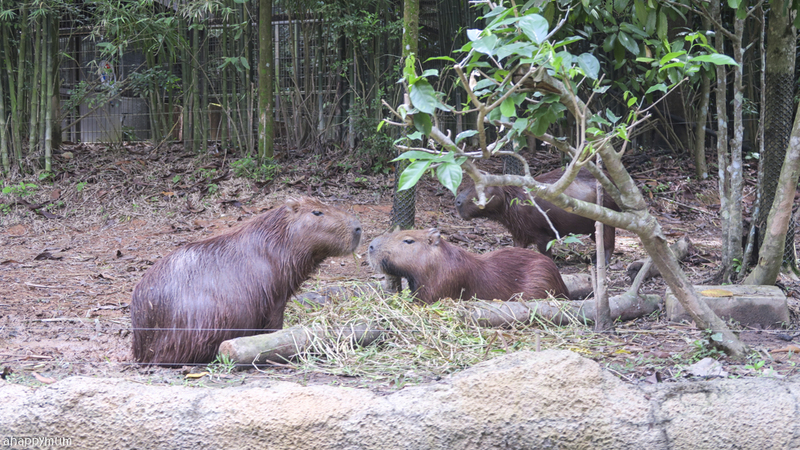 The hubby was saying we were so near to the extent that we had to be careful of their hind legs because if they kicked, our kids would fly. 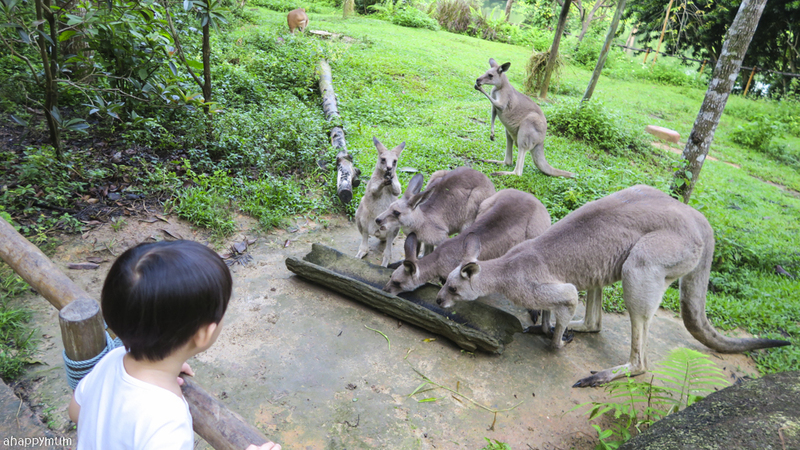 But, these marsupials were so tame that we just stayed on watching them eat for quite some time. Yes, weren't we in a run? 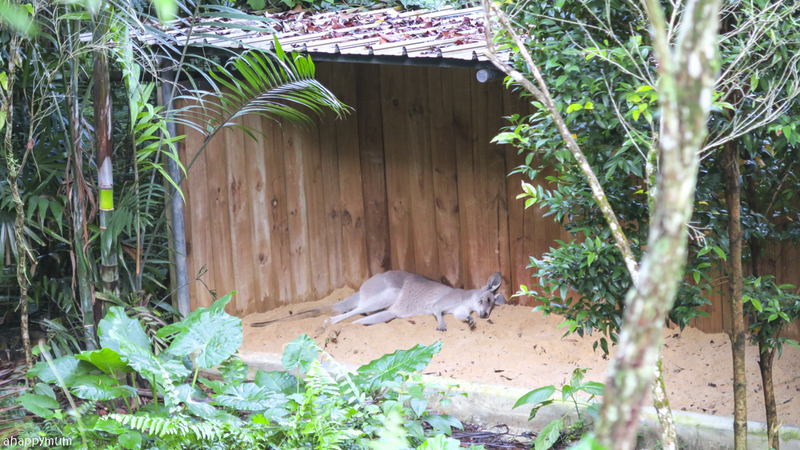 Well, it's not always that we had such a precious opportunity to gaze at kangaroos from such a close proximity, and best of all, there wasn't even much people around us! So, I really didn't mind spending a little more time here if it made the kids happy. 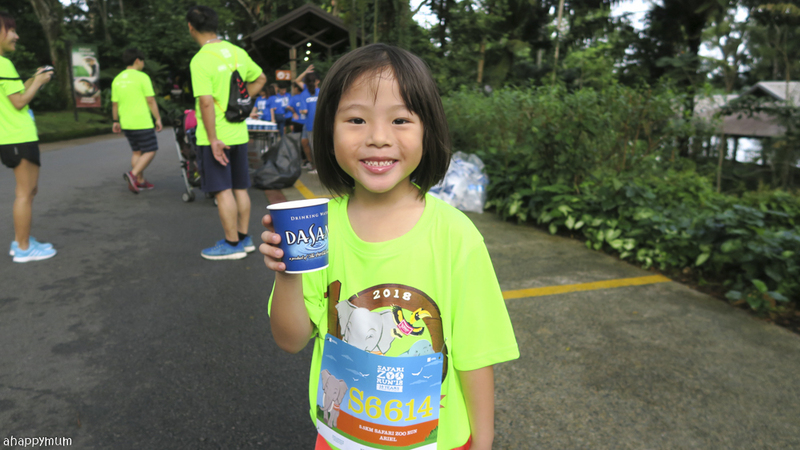 Thanks to the thoughtful organisers, we had plenty of water stops and could quench our thirst with mineral water and isotonic drinks. See how my girl was already beaming and smiling so happily? It's not hard to see that coming outdoors instead of staying cooped at home was doing her some good! 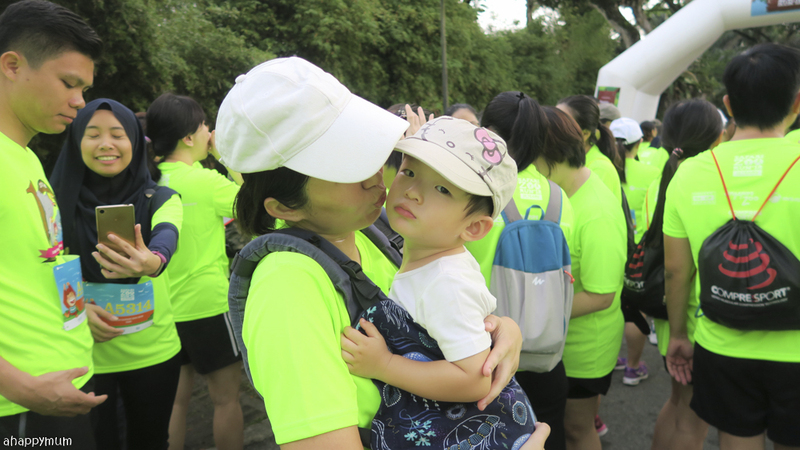 As for me, I had to embrace the fact that the boy wanted me to either carry or piggyback him for nearly the entire 5.5km run. Yup, that means I perpetually had a 12kg load and the hubby commented that it was a good workout for me! 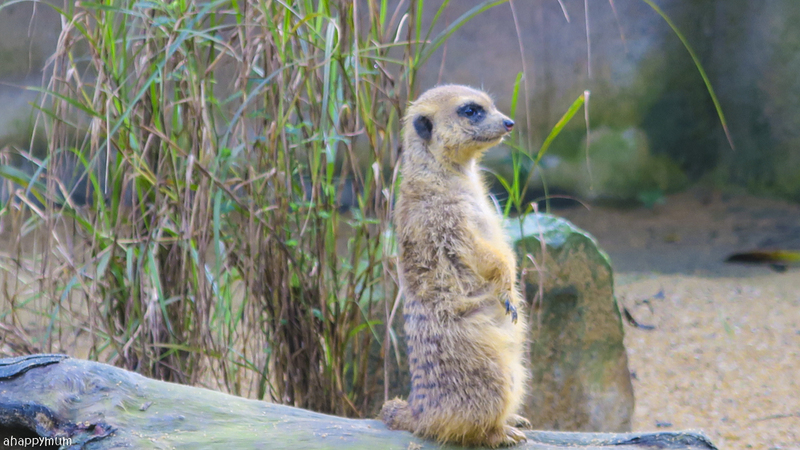 For the second half of our journey, we were stoked to see even more animals up close, from the towering giraffes and majestic lions to the endearing mother-and-child hippopotamuses and the cute as a button meerkat. 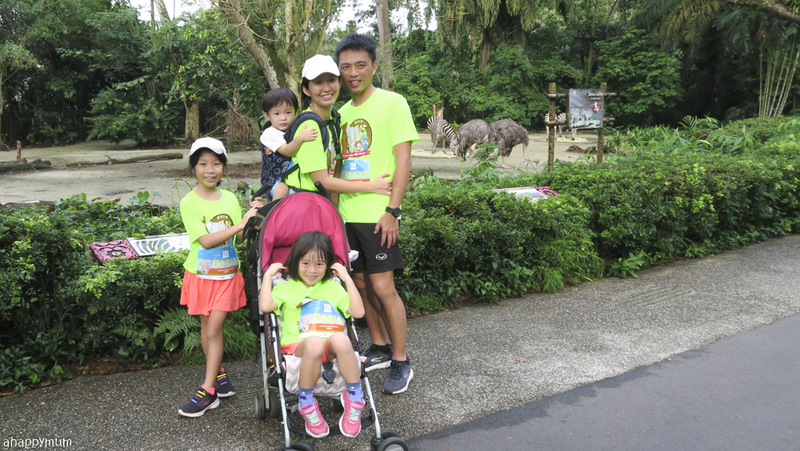 The Safari Zoo Run is probably the only run where we will stop halfway just to take a family photo, and boy am I glad we did because this was such a moment to remember. I mean, conquering a 5.5km journey with three sick kids in tow? That's gotta be a milestone for sure. I have to give the thumbs up to the big girl because even though she barely recovered from her illness the day before, she had zero complaints during the run and while the siblings could get into the pram or carrier, she completed the entire journey on her own two legs, be it run, jog or walk. You go, girl! 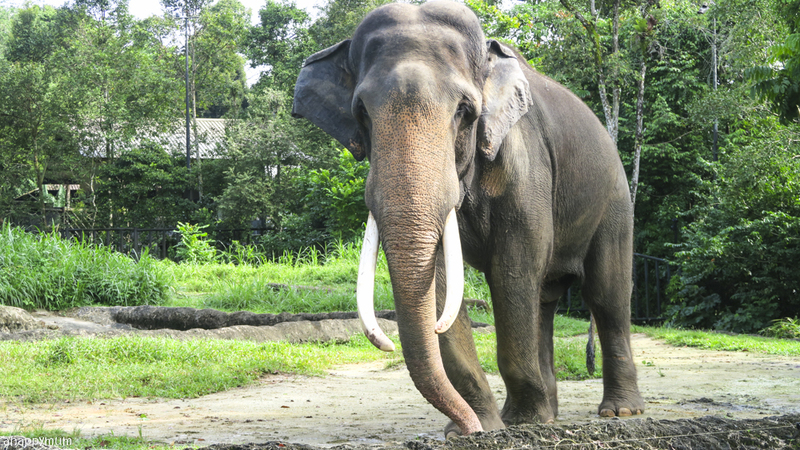 The last highlight of our journey was seeing dear Chawang, Sri Nandong and their baby calf Neha, who is over one and a half years old already. 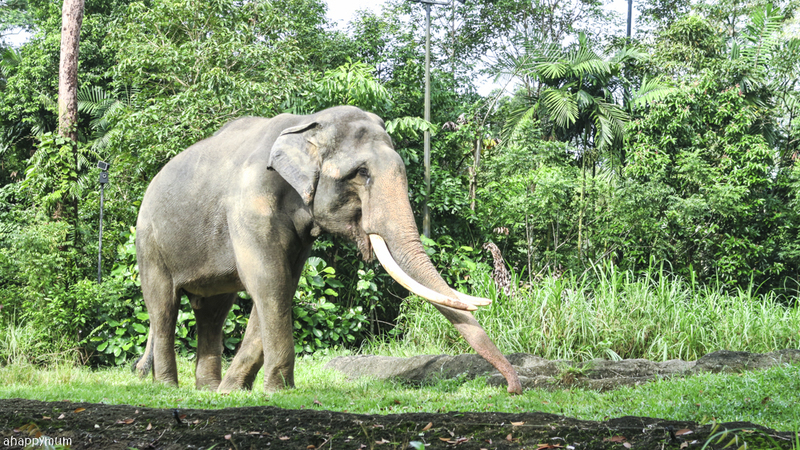 Did you know that elephants have a pregnancy that spans 22 months long? Yes, that is more than double of ours and makes the longest gestation period for all mammals. Amazing, right? I always view these magnificent creatures with awe and was delighted that we managed to come up close with a handful of them during the run. 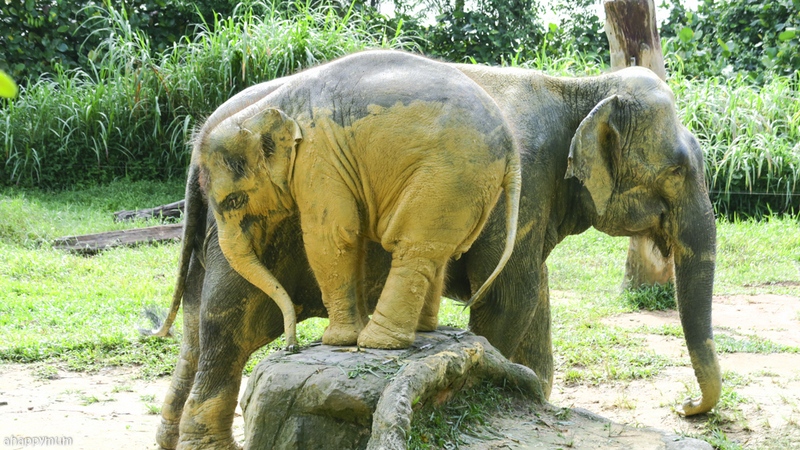 It was really heartwarming to see how Neha was trying to clean herself in the mud yet she never ever wandered too far off from her mum, who was always there to guide and protect her. 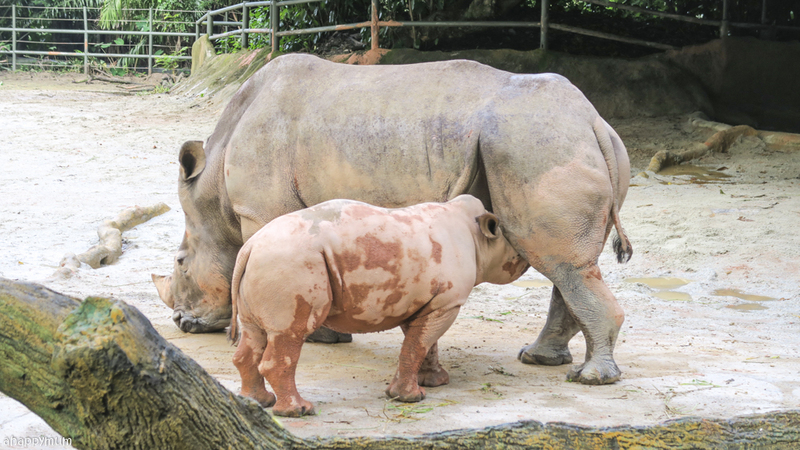 Awww, such a strong mother and child bond! 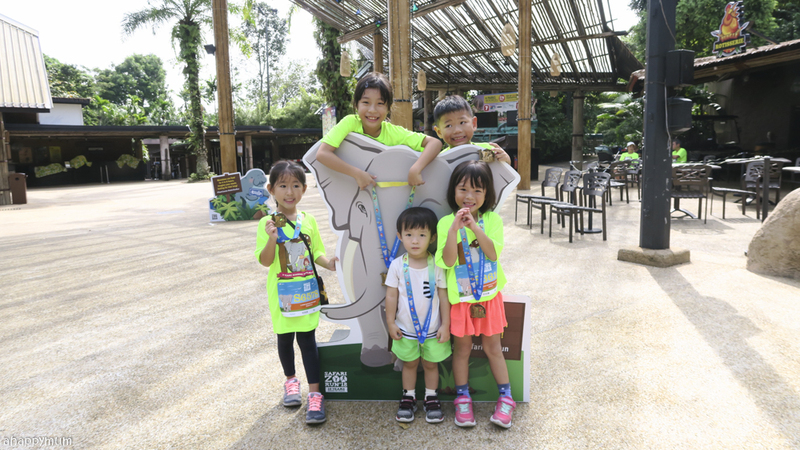 We finally made it to the finishing line and even if we were one of the last few families to do so, I believe it was all worthwhile to take our time to admire the animals, appreciate nature and enjoy every moment of the run. 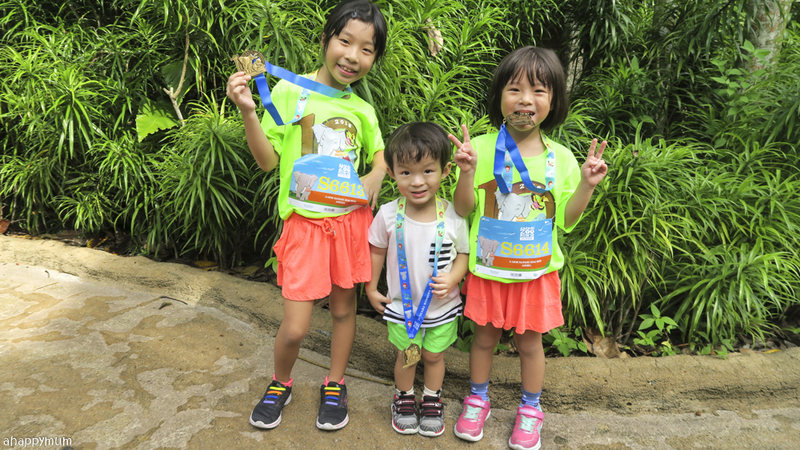 My little troopers were ecstatic to see the finishing line and even more so when they received their medals - which I believe they truly earned and deserved. 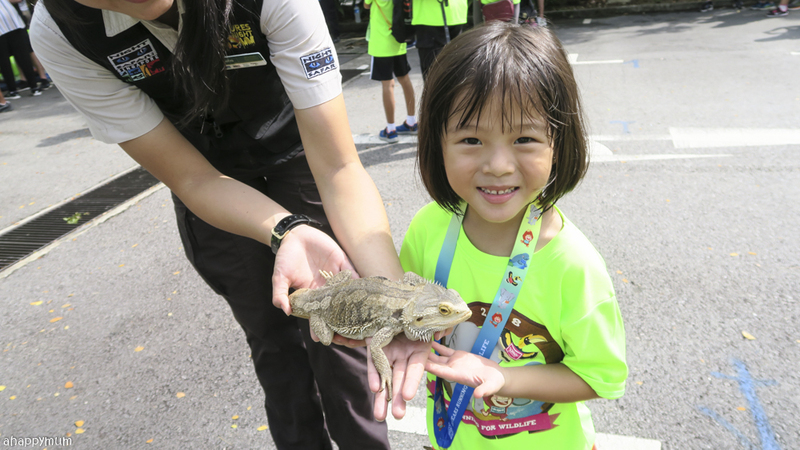 For the first time after the run, we had the opportunity to come up close with reptiles at the carnival. 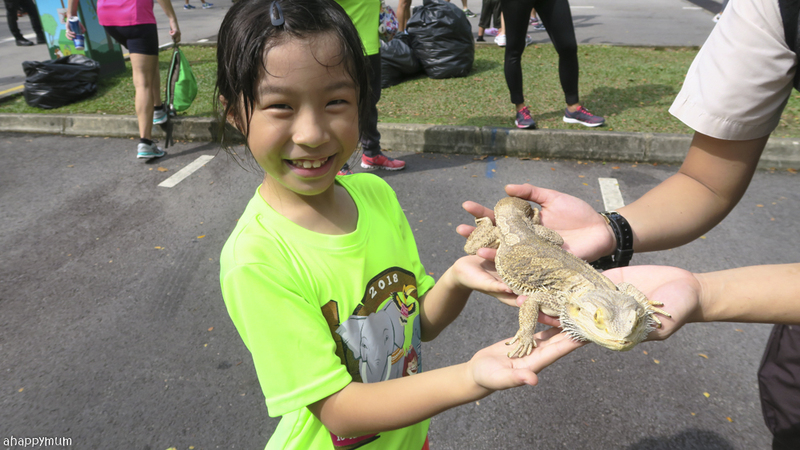 If you saw our pictures from Batam where the girls held geckos and iguanas in their palms and wore pythons around their necks, you will know that they are always thrilled to interact with these animals too! 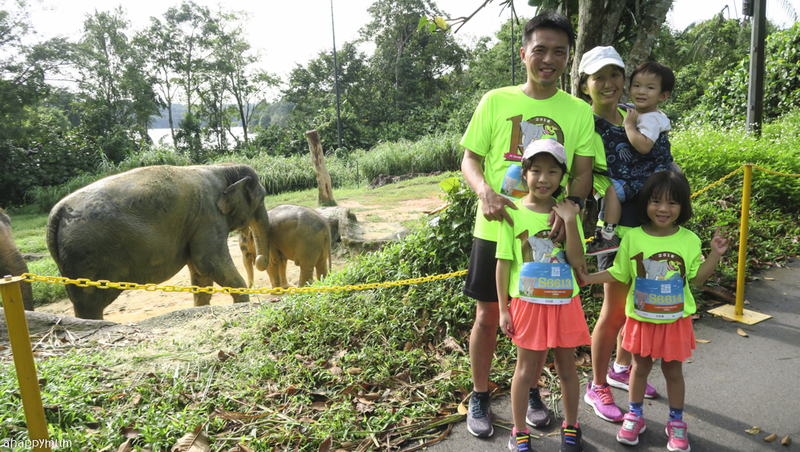 It was truly a great morning spent as a family at Safari Zoo Run 2018 and I couldn't have thought of a better way to spend it. Wait, we are not advocating that you should always let the kids exercise while they are sick. As parents, I think we know best what our kids ought or ought not to do, so just make sure you don't go off the limits and always monitor how they are feeling. 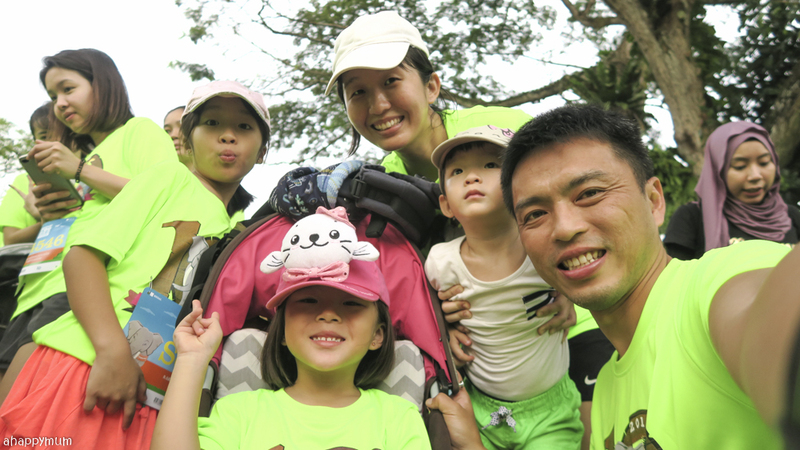 For us, it was indeed a wise decision to stick together as a family and attend the run because the kids were all feeling happy and contented after a whole day of fun and joy. 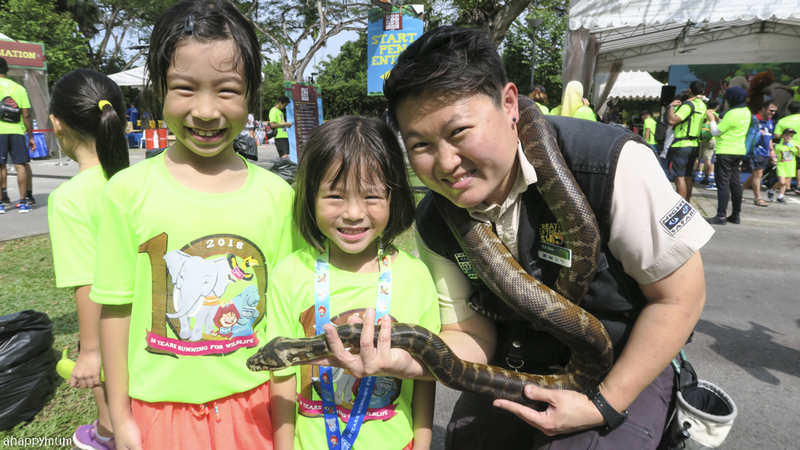 So, I believed the fresh air, the lovely company of the animals and the happiness lingering in this family-friendly event helped to dispel all their discomfort and made them feel much better. If you think we went straight home after the run, well, we didn't! Why? 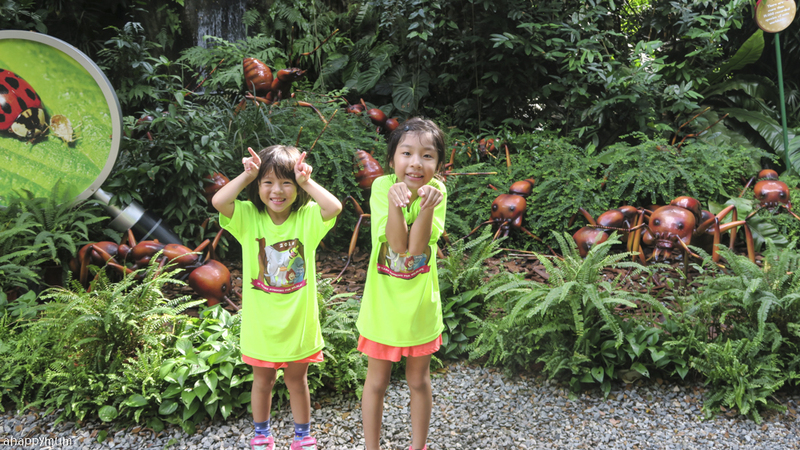 That was because all run participants were allowed to explore the Zoo and the River Safari for the rest of the day, so we really wanted to make full use of it since the kids had voiced out that they wanted to stay. 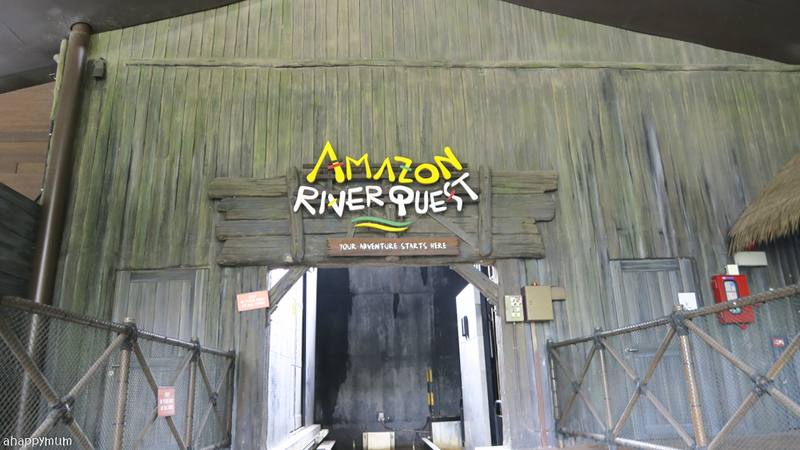 We went on the Amazon River Quest, which was a first time experience for the little sister so you can imagine how much joy that ride alone brought her. See that wide grin on her face? 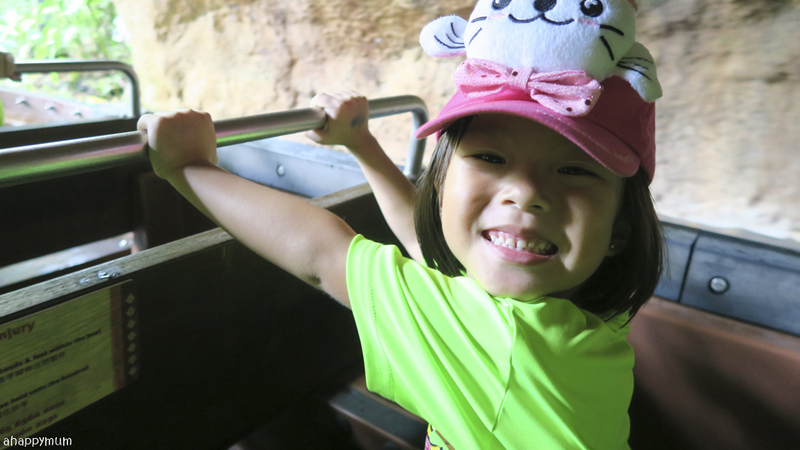 She was so excited throughout the journey, especially when she spotted the animals or when we went over the rapids. 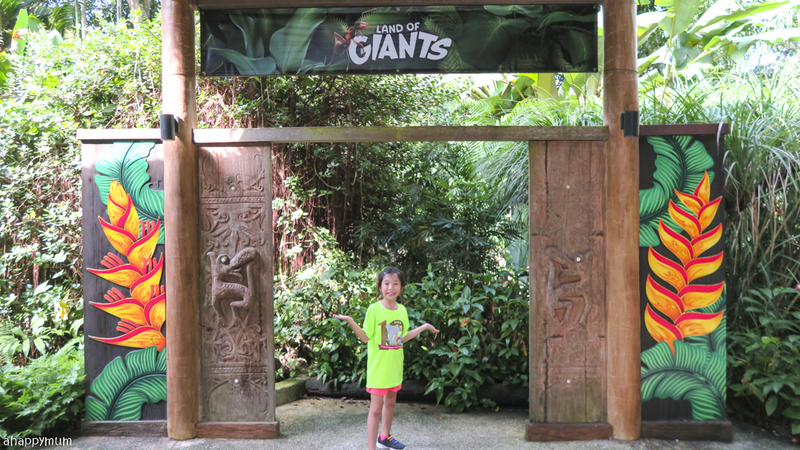 After exploring River Safari and having a delicious lunch at the Mama Panda Kitchen, as a final treat for the kids, we took them to check out the Land of Giants exhibition in the Zoo, which we made it just in the nick of time since it only lasted till end of January. 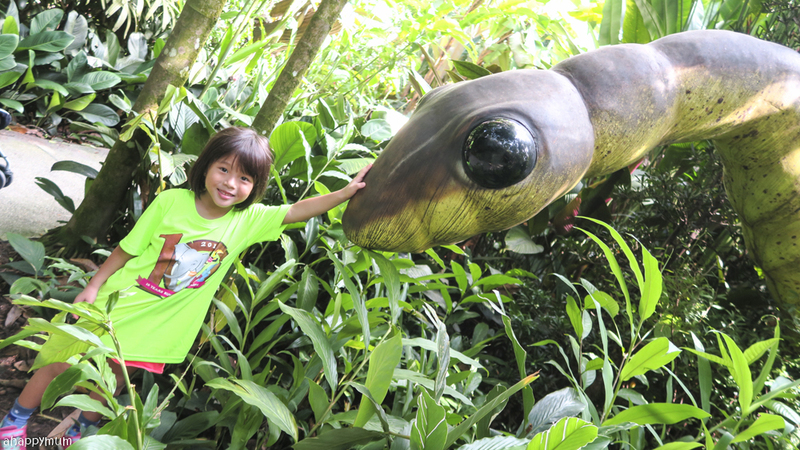 The big girl is a bug lover so she was the one who pleaded for us to take her here and we couldn't really refuse, could we? 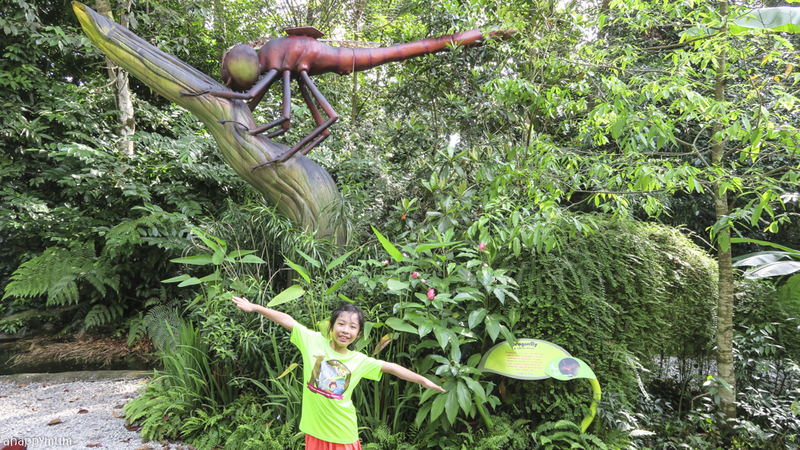 She loved reading all about these insects and even made it a point to take a photo with every single one she saw. We finally bade farewell and made our way home in the late afternoon, with tired bodies but happy hearts. 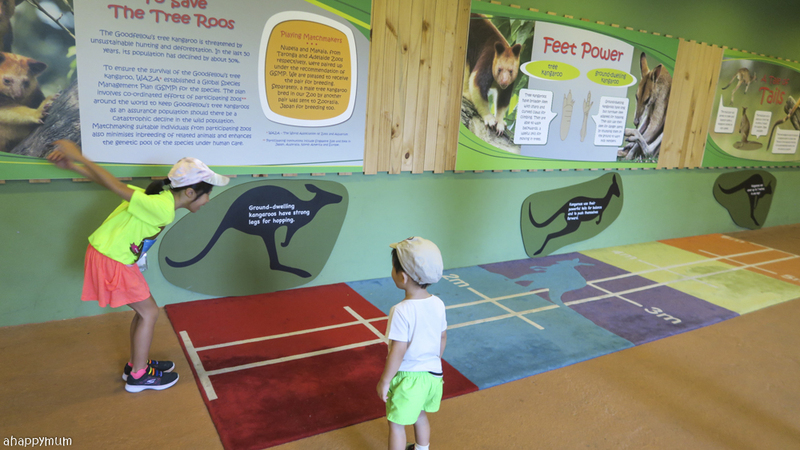 It's really no wonder why we love Safari Zoo Run so much and why it remains as our favourite family run. 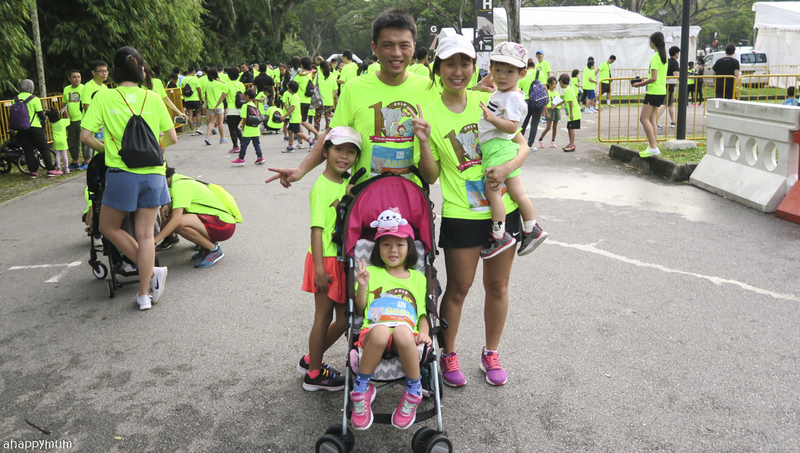 Kudos to the organisers for a well-organised event, to the hubby for spending precious family time with us, and to our little troopers who showed me their perseverance and indomitable spirit. 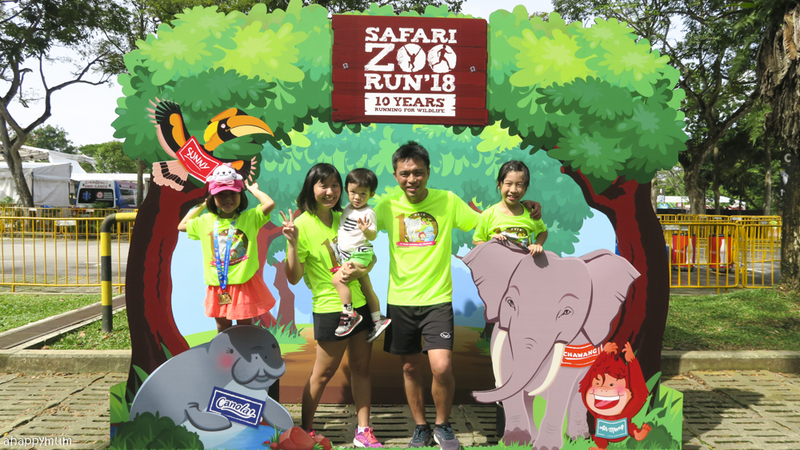 Till the next Safari Zoo Run! 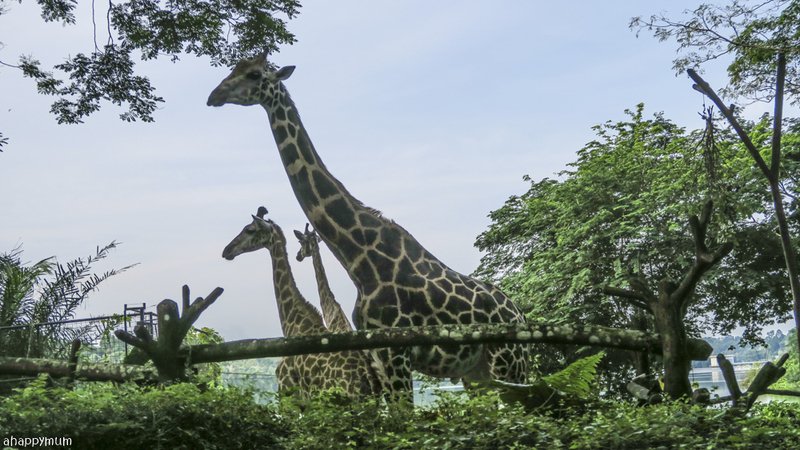 Disclosure: We received a media invite to Safari Zoo Run 2018 and received complimentary slots in writing this post. All images and opinions are my own. Nice! This is amazing. Love your blog. Thanks for sharing this one.